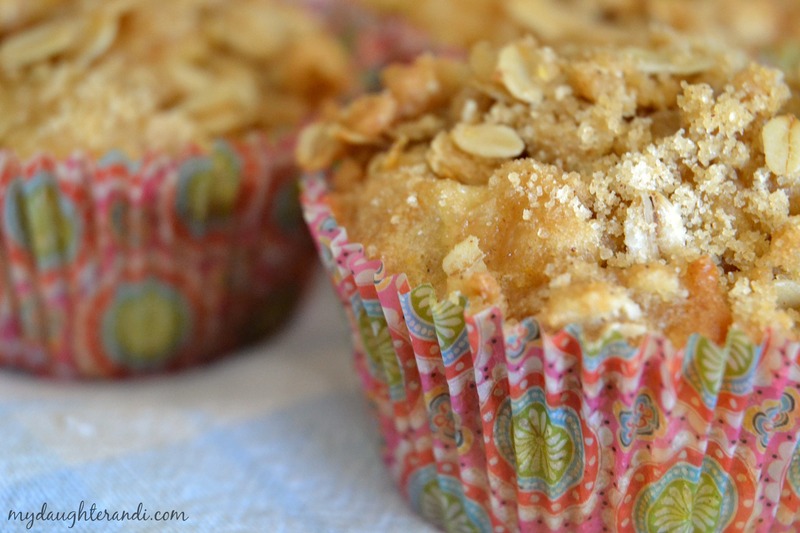 These muffins are delicious, hearty and not too sweet. We made ours using green apples, if you used a different variety of apple, they would be sweeter. I wouldn’t say they are exactly health food, but with the addition of unsweetened applesauce you use less fat and less sugar than some muffin recipes. They are great for breakfast on the go. 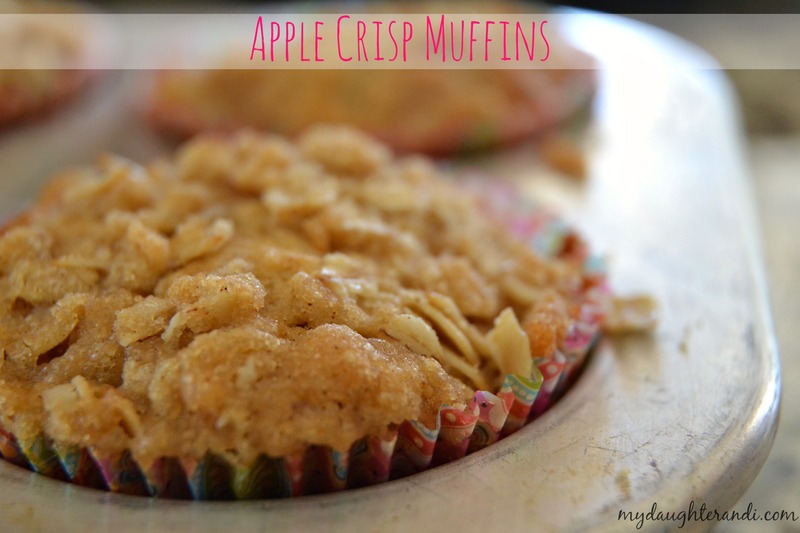 The topping is crunchy and sweet and delicious! Line muffin tin with liners and then lightly spray with cooking spray. In a large bowl mix together butter, oil, sugars, and applesauce until combined, mixture will look curdled. Add egg and vanilla and mix to combine. In a separate bowl stir together flour, cinnamon, baking soda, baking powder and salt. Remove 2 T of the flour mixture then toss with the apples in a separate bowl to coat. Add remaining flour mixture to wet ingredients in two batches, mixing until just combined before adding the next batch. Fold in the apples. Scoop batter into prepared muffin cups filling them 3/4 of the way full. For the crisp topping: mix the ingredients together in a small bowl until well combined. Sprinkle a heaping tablespoon on top of each muffin and bake for 15 – 17 minutes or until done. Let cool in the tins before removing to a cooling rack.